Keeping your upholstery in great condition is often a huge responsibility. Though people spend a good deal of amount on upholstery they do not show the necessary interest in maintaining the upholstery. Remember upholstery cleaning is not restricted to external cleaning alone. 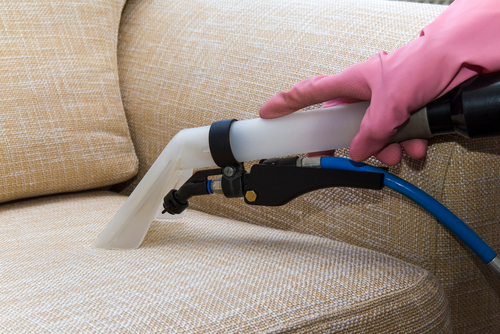 Deep cleaning is essential to keep your upholstery in great shape. Deep cleaning involves professional help. Entrusting your upholstery cleaning to a reputed cleaning service provider is important. Do not compromise on this issue. If you want to regain that lost luster on your upholstery the only alternative is to approach a cleaning company. They with their trained staff and advanced tools can bring back the lost sheen on your upholstery within no time. If sofa cleaning and mattress cleaning is not your cup of tea, then it is best to call a professional and heave a sigh of relief. Depending on your upholstery material, cleaning routines have to be called for. It is best to talk to the upholstery cleaning services contractor in advance explaining the kind of fabric that needs to be cleaned. 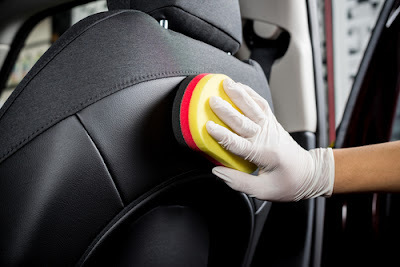 Leather upholstery will require different method of cleaning when compared to silk or cotton fabric. Only a trained cleaning service provider can accomplish this task with ease. These people will have the required expertise in the field as they would have experience in similar types of cleaning. Choose a service provider in your locality, if you find it difficult to find one near your home, do not hesitate to call a reputed cleaning service that may be located away from your locality. Remember that at the end of the day quality cleaning is all that matters. Giving a hygienic environment for your family and staff is important and this can be accomplished only with the help of a professional and dedicated upholstery cleaning services. Just vacuuming your upholstery regularly can only remove dust and dirt from the exterior. Dust and mites settle in between the fabric and can cause health hazards in the long run. Regular usage can push the dirt and dust particles deep into the fabric. This needs to be addressed immediately else it will lead to increase in health bills. Deep cleaning will help remove stubborn stains and dust that is caught in between the fibers and helps to regain its new look. Of course deep cleaning need not be done regularly. But it needs to be attempted at least once in a while for the long life of the upholstery. Upholstery can get dirty quickly if you have kids or pets in the house. Pet stains are hard to remove and can leave an unpleasant odor. It is best to remove before it sets into the fabric. A professional upholstery cleaning services can make these stains a thing of the past. 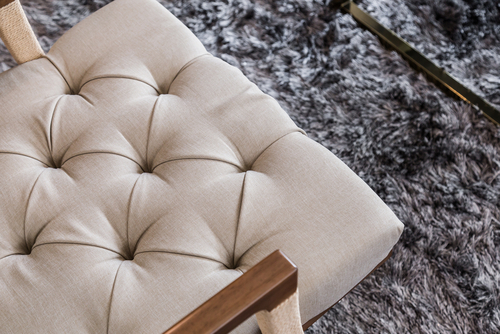 Your upholstery will look rich laden with its original color. Clean upholstery gives a welcome look to your home or office. Get back those sharp colors at a cost that is just fractional when compared to the cost of your upholstery. The best way to make the upholstery last a very long time in your home is to make sure that you are cleaning it properly. Upholstery cleaning can be frustrating depending upon the fabric because of temperature and weather changes. Stains and odors alike can ruin any good piece of furniture, but with continuous monitoring, homeowners should have no problem maintaining beautiful furniture. Here are some tips for upholstery cleaning. If mold is found within the upholstery while cleaning there is an easy way to solve it. By adding a quarter of a cup of hydrogen peroxide with a quarter of a teaspoon of bleach, color safe, the mess can be cleaned with a rag. Upholstery cleaning residents know this is an easy fix to a problem that at first might seem scary. When the stain is gone, it should be rinsed with a little bit of warm water and then air dried. Another fun stain to deal with is coffee, and any upholstery cleaning resident can testify to that. But there is a way to fix this sometimes scary problem. All that is needed to clean it is water, vinegar and a little bit of dish detergent. Just gently pat this solution into the problem area and it will start to disappear before your eyes. The only thing to worry about with this problem is scrubbing too hard and creating a ruining effect on the upholstery. Another stain that is easily created by eating on furniture is grease. Grease is best dealt with quickly or it will stain indefinitely. But, upholstery cleaning residents have found that will a little bit of salt and cornstarch placed directly onto the grease spill will greatly increase the chances that it will not be a permanent stain. The stain then needs to be blotted or rubbed softly until the grease is completely absorbed. If the upholstery is leather, it is highly recommended that immediately after the furniture is purchased it is waterproofed. This will save your sofas and chairs from many of the stains that could occur. The longer a stain is allowed to soak and go unnoticed, the more likely it is to not be able to be removed. For tough stains there are many different solutions at general stores. Or, the professionals in the upholstery cleaning industry would be happy to stop into your home and give any homeowner an estimate. The tip here is to find one that is in your area. While choosing an upholstery cleaning firm, the most important thing that is to keep in mind is to find the best firm to look after your needs. Make sure that the firm employs highly trained professionals for the upholstery cleaning task who are well adept with the latest technology cleaning equipment. Also ensure that these upholstery cleaning firm use only branded products for cleaning that have no toxic environmental effects. Always remember that upholstery cleaning is not only about removing the dirt and stains. The firm should look after the harmful microbes as well. Before finalizing on the firm, make sure that they have been covered by insurance liabilities. Also look for a firm that offers guaranteed 100% cash back in the event of not being happy with the result produced by the upholstery cleaning firm. Though the services of an upholstery firm come with a fee, the results produced are always worth it. Proper cleaning of the upholstery increases its longevity. A bit of market research would always help to determine the best upholstery cleaning firm that can work for you. You can even refer to the internet to get the information on the various upholstery cleaning firms in your area.